If a child or adult is in immediate danger or requires immediate medical attention, call the emergency services on 999. If there are concerns about their immediate welfare, don’t delay: call Children and Adult’s Social care on 0345 050 7666 or the MASH Out of Hours Emergency Duty Team: 0800 833408. Also please immediately inform our Parish Safeguarding officer, Jenny Legg. If you are unsure or worried about how serious a situation is, contact one of the Diocesan Safeguarding Advisers, Stuart Nimmo, on 01865 208290 or Sophie Harney on 01865 208295.
bring the good news of Jesus Christ to neighbours and friends through Jesus Christ, our Lord, Amen. If you would like someone to pray for you or for a situation you are concerned about, please click "prayer" to email and your request will be passed to our confidential monthly prayer group. 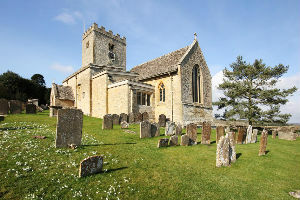 St Mary’s Church, North Leigh, Oxfordshire has been a centre of Christian worship in the area for almost 1,000 years. We endeavour to be an open and caring church that reaches out into our community and provides a place of spiritual comfort, love and worship, where everyone can experience God's redeeming love and grace. We nurture those already on their journey of faith, and are there to encourage and support people as they respond to the ways in which God calls them to work. We rejoice in God’s all-embracing love and everyone is warmly welcome at all our services and activities, irrespective of age, race, background or way of life. Our main act of worship is at 10 am each Sunday: usually a service of Holy Communion but also through our monthly Café Church in our Church Hall across the road. Refreshments are served before or after each of these acts of worship and provides an opportunity to meet one another and build relationships. Our thriving ecumenical home groups help us to reach out to others. We take God's word beyond the boundaries of the church building, showing a Christian response within our changing world. Different styles of worship enable us to reach diverse groups of people. Working with children is a high priority. Our close engagement with the C of E primary school, is pivotal to our vision to share God’s love across the community. Work continues with older children through the church-sponsored youth project, in a purpose-built modern youth centre. Existing activities for other groups include Men's Breakfast, monthly Seniors' Lunch and Tea Club, prayer and Bible study groups. North Leigh Church is a place of prayer, peace and beauty, where you will find a warm welcome. We look forward to welcoming you at one of our services where we hope you will feel at home, make new friends, and most importantly, grow in relationship with God. Please take a tour of the site. We hope you enjoy learning about our Church, and that you will come along and visit us.